Fudo started his career wrestling in the late ‘90s DDT and Wrestle Dream Factory. 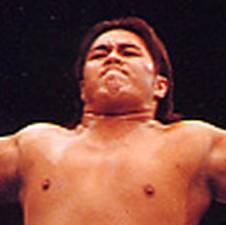 He later joined ZERO-1, where he underwent several ring name changes, from Kuroge Wagyuta, to Aussie Beef, to the final ring name he adopted, Rikiya Fudo. Fudo wrestled in ZERO-1 from 2002 until 2007, without reaching any major success in the company. After leaving ZERO-1 in February 2007, Fudo became a freelancer, wrestling regularly only in MAKEHEN.